Repeat Plastics Australia (better known as REPLAS) turn recycled plastic waste into valuable outdoor furniture – like park benches, bollards and decking. They wanted some help with strategic planning to focus the business and to drive growth activities. We were very pleased to learn that they had used the output from the planning process to apply for and win some significant grant funding. Albins strategic planning brings investment for growth. They thought hard about their business, built on what was good and then went after investment dollars from the Future Industries Manufacturing Program to help break performance bottlenecks and set the business up to supply the new business with Thales. Shiny Embroidery is a family owned business that has been successfully operating a high volume garment embroidery and decorating business for over 30 years. The business owners wanted to continue to grow the business and take advantage of the Victorian Governments’ LIFT (Local Industry Fund for Transition) program. Britannia wanted clarity on how to grow. They already had a great reputation in the market, but they wanted to learn how to plan a new sales strategy for the next 2-3 years. They learned what they did that was valuable for clients, how to hold onto and increase the spend of existing clients and how to sort new clients into those who shared our value and those who did not..
Link Pumps is a family owned business that has been operating successfully for over 50 years. The owners were considering how they might retire from the business, and also leave it in a position so it was set-up for future ongoing success. 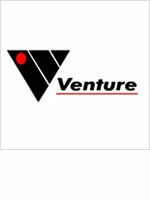 Our client is a supplier to the mining industry, and has been on a steep growth curve over the past few years. Aiming to build on past successes, the management team were faced with the challenge of how to continue that growth in a robust and repeatable manner. 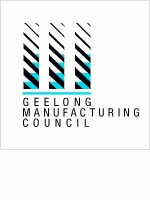 For several years Roaring Success has partnered with the Geelong Manufacturing Council (GMC) to enhance the capability of manufacturers in the Geelong region. Roaring Success was engaged, via the Ford Supplier Diversification Program, to assist Venture in deciding if an existing Venture business based in South Africa, could be established in Australia and make commercial sense here. > Read more about whether it made sense for the client to invest or not? A.N. Cooke is one of Australia’s leading manufacturers of fasteners, prominently used in the auto industry. 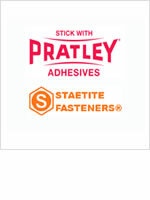 A number of years ago, as part of their business growth plan, the company decided to invest in the distribution rights for the Pratley brand of adhesives in Australia. The challenge that the business faced, was that despite the company having done the right things by investing in staff and creating business and marketing plans, the revenue growth for the new business line was slower than expected, and was challenged with “people-side” of the implementation. 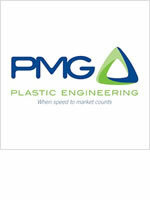 Our client PMG is a plastics injection moulder, founded 20 years ago and deriving the majority of sales revenue from custom moulding for other businesses. PMG has successfully recovered from a downturn in sales of $2 million pa in early 2010 when their biggest customer decided to offshore their purchasing of point-of-sale (POS) display materials. 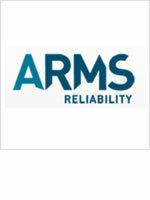 Today PMG is diversified across processes, technologies and markets; making the business robust and sustainable. 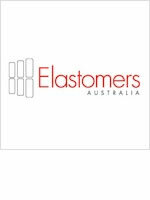 Our client has been providing high quality plastic moulded parts to the Australian Auto Industry for many years, and was growing additional business with other non-auto clients. 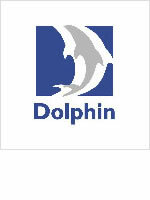 Due to the reduction in Australian made vehicles, Dolphin was under pressure to seek alternative sources of revenue. Our client has been experiencing rapid growth and has recently expanded into the USA market and is facing further increased demand. The directors were at the stage where they wanted to build an organisation that is capable of handling the challenges and needs of large corporate clients around the world. Our client had been experiencing rapid growth over the past five years, and was now keen to continue that growth. The two owner/directors wanted to learn how to go about establishing a suitable plan that would deliver the required growth and allow them to manage the stresses and strains, which that growth would bring. Air Radiators is a highly specialised producer of radiators for on-road and off-road applications. Since 2011, Roaring Success team has assisted Air Radiators and in 2014 the parent company, Adrad Group, with their Strategic Business Planning. 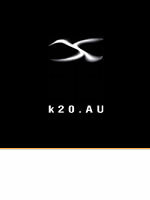 Hella Australia is a premium designer and manufacturer of automotive lighting for both the OEM and aftermarket business segments in Australia. Roaring Success was engaged via the Ford Supplier Diversification Program, to assist the company to create a Marketing & Sales Plan which would help drive business growth outside the auto industry. Our client has been providing high quality electronic components and assemblies to the Australian Auto Industry and selected overseas manufacturers for many years. 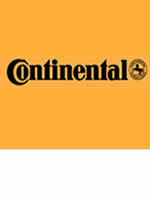 Due to the reduction in Australian made vehicles and slowing export demand, Continental’s production facilities were becoming increasingly under-utilised. In the face of declining sales of Australian-made vehicles, Ford Australia wanted to support their component suppliers by offering a Supplier Diversification Program, which would help their key suppliers to diversify and find additional sources of revenue.